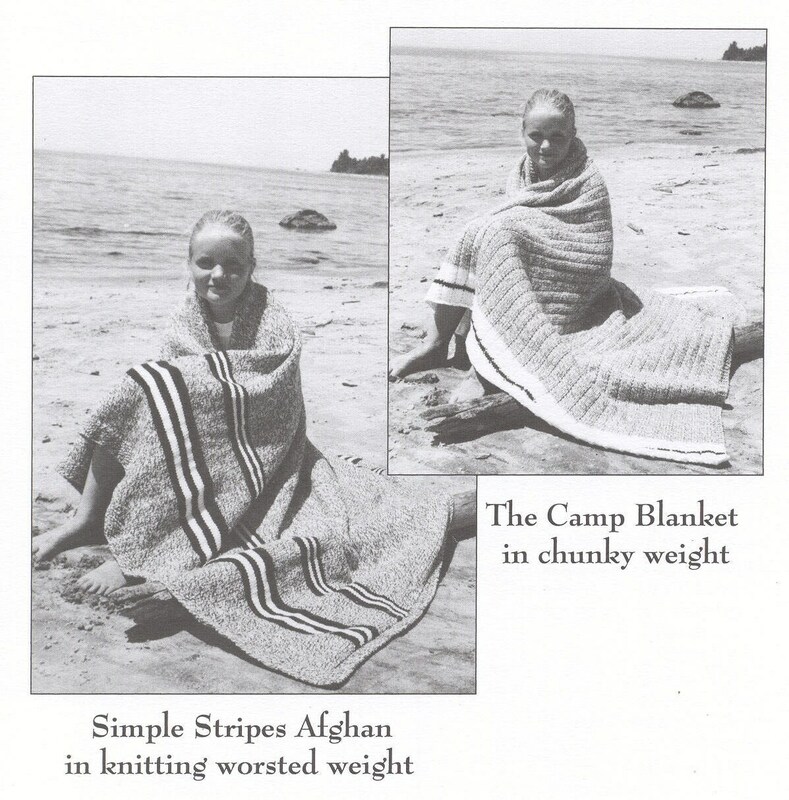 COTTAGE & CAMP AFGHANS #168. One for worsted weight yarns 4 1/2 sts per inch with size 8 needles [US] and one for bulky/chunky yarn 3.75 sts/inch with size 10 needles [US]. Very easy patterns. Both afghans measure about 50 in. by 60 in.